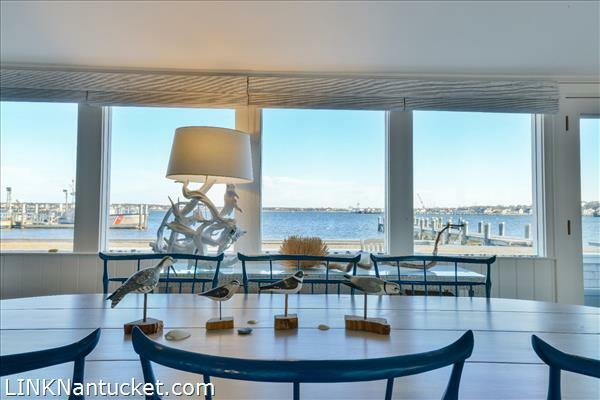 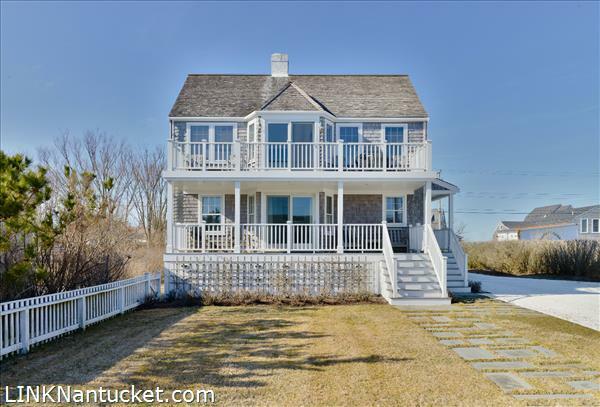 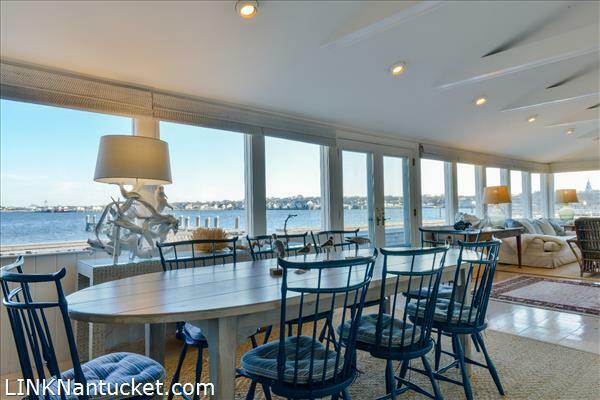 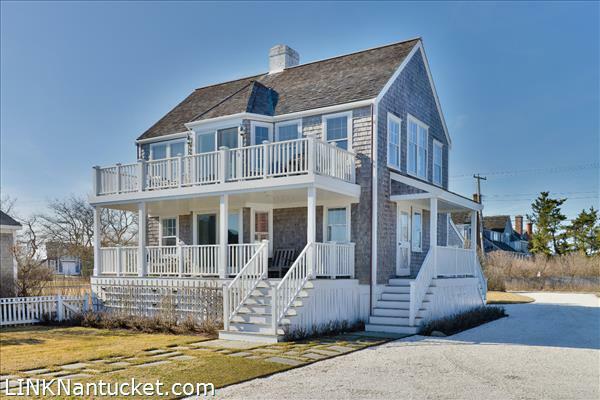 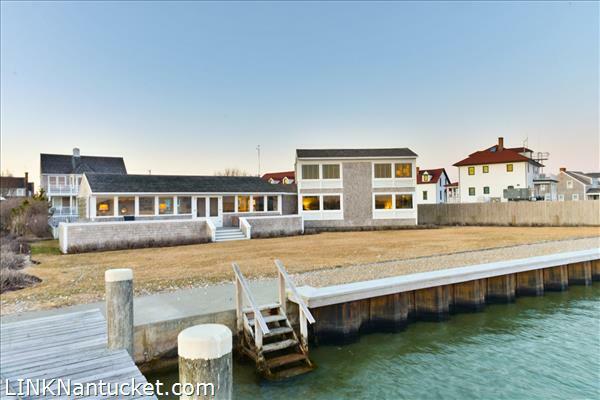 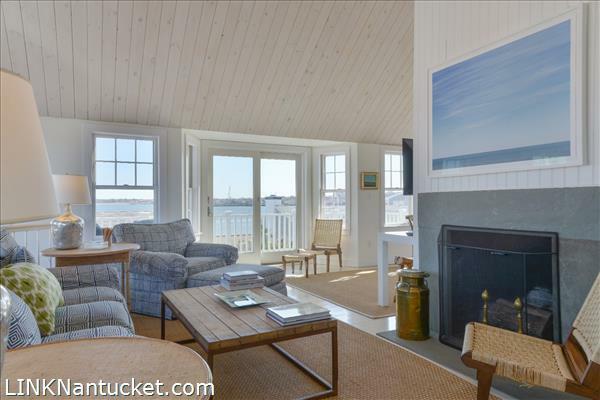 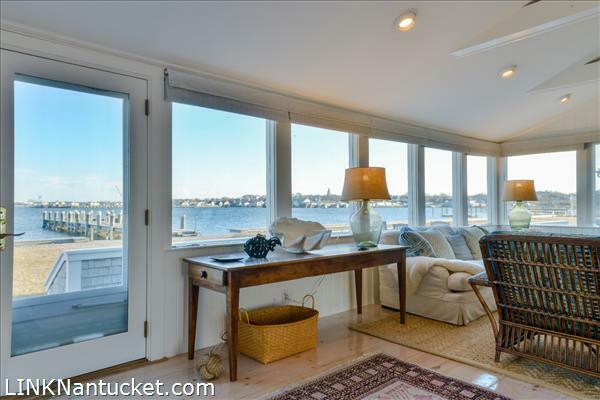 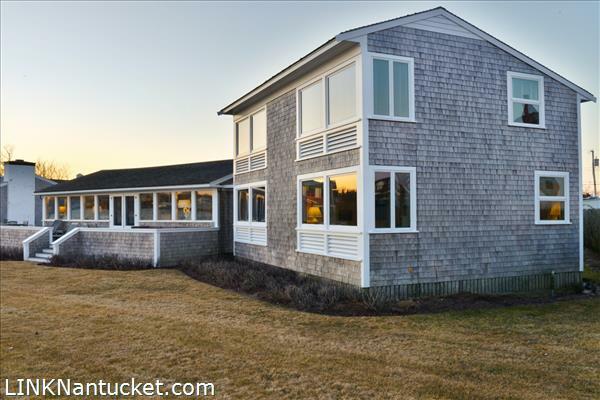 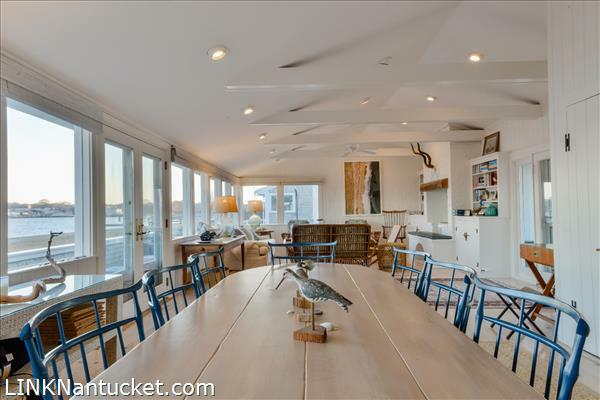 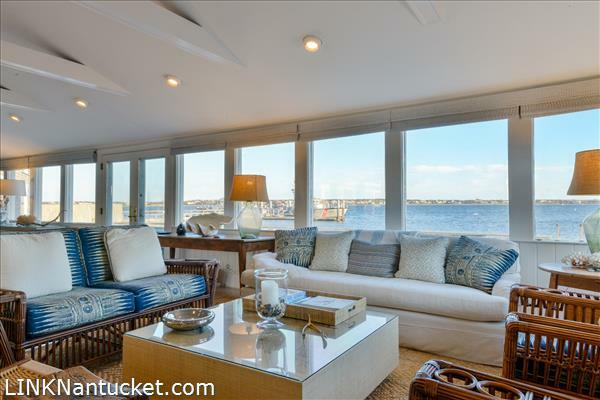 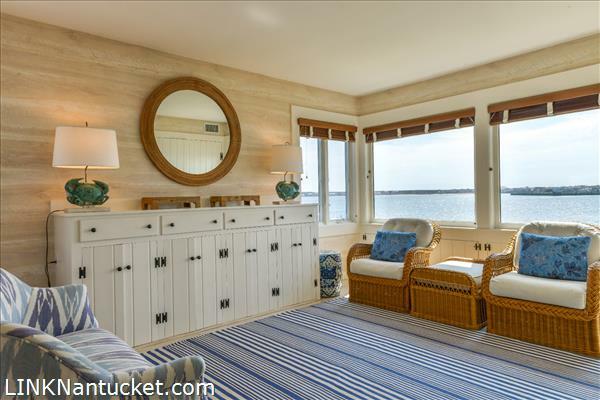 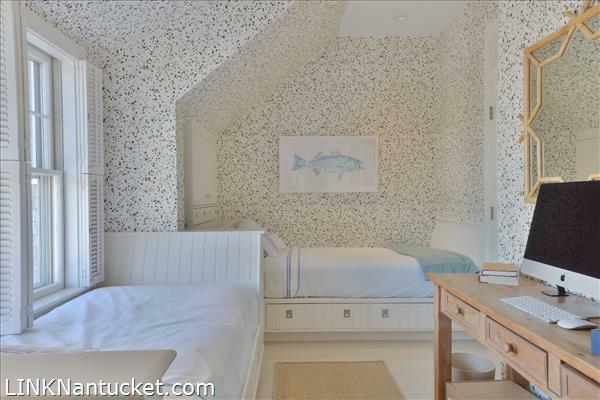 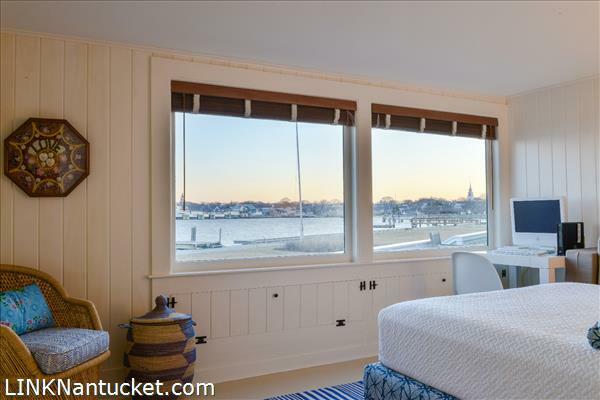 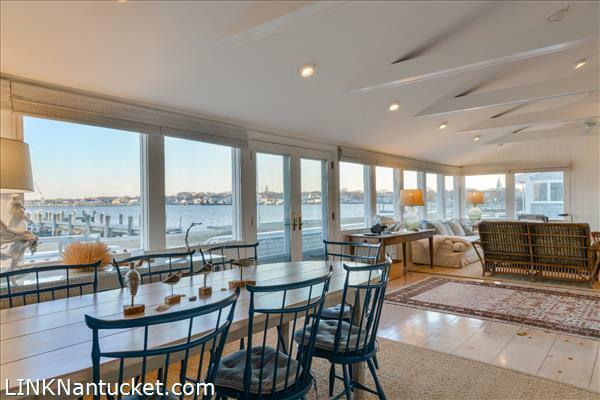 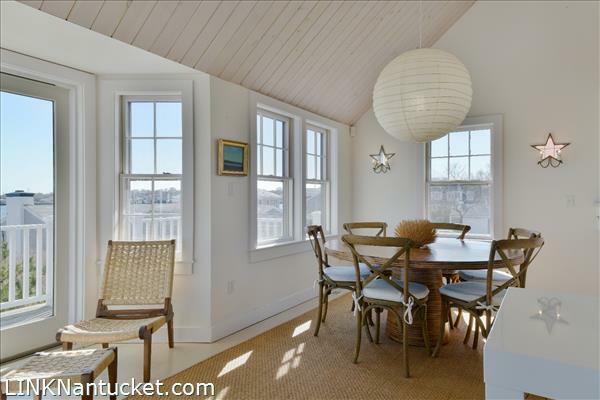 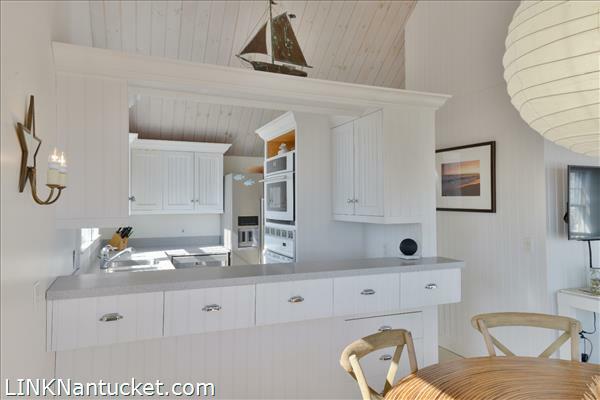 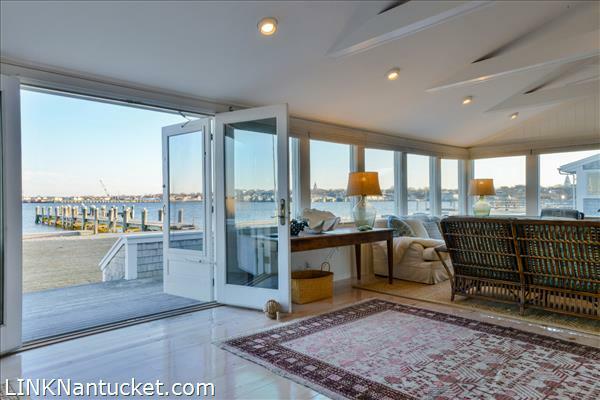 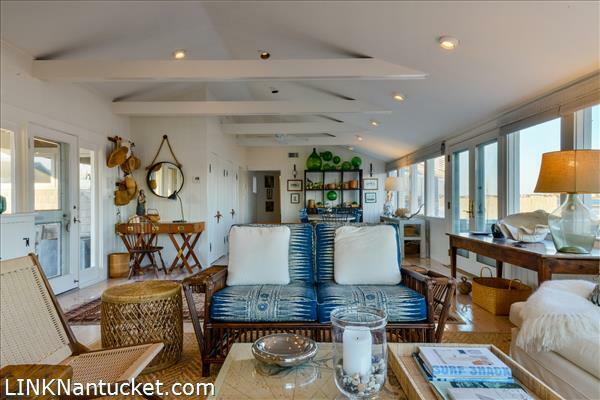 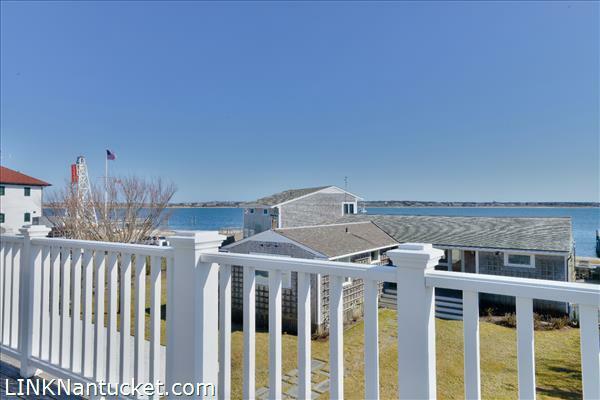 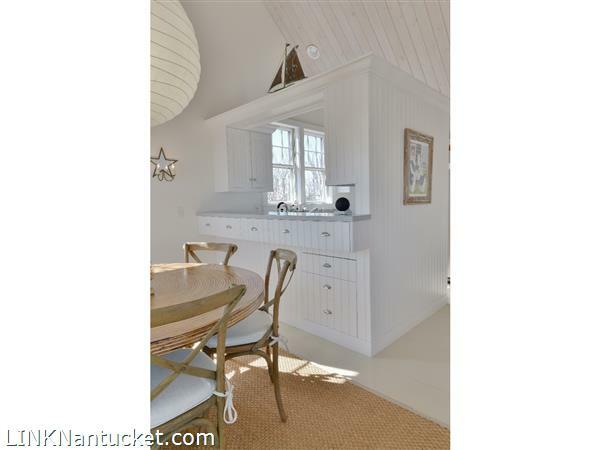 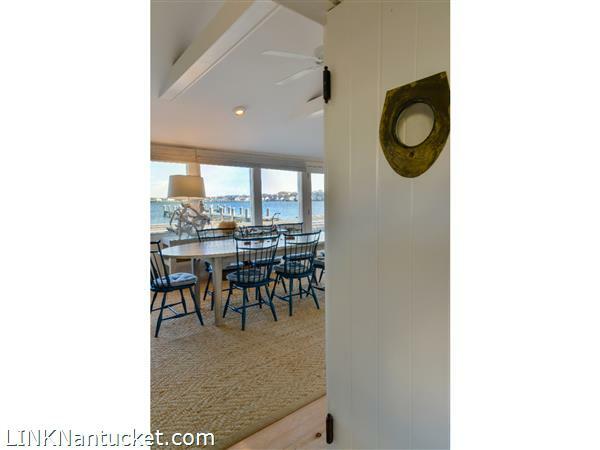 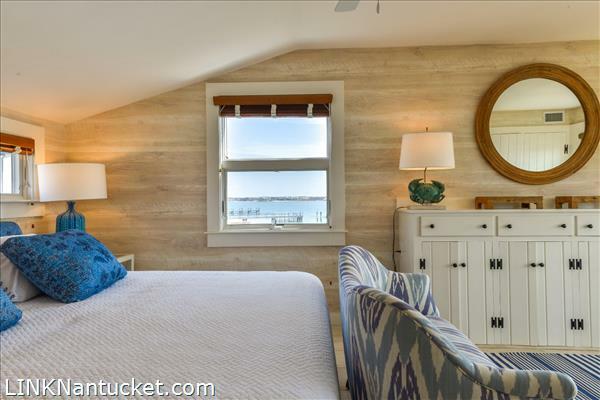 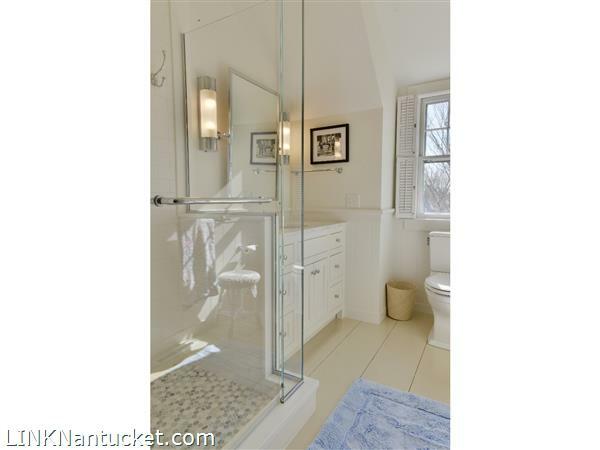 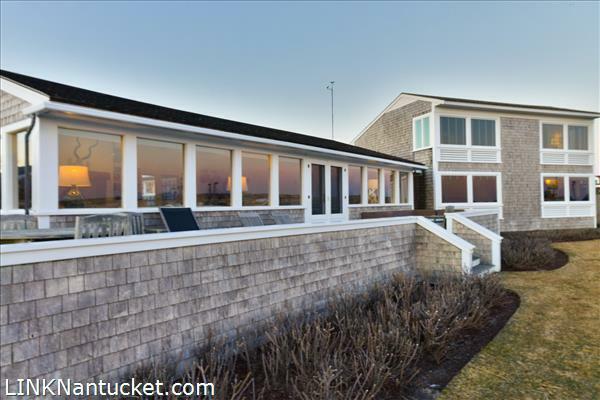 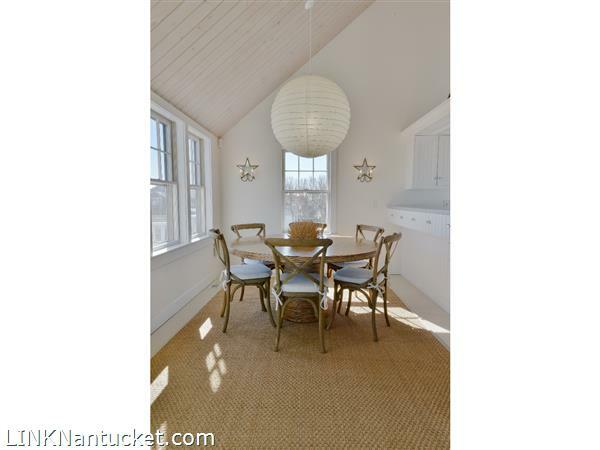 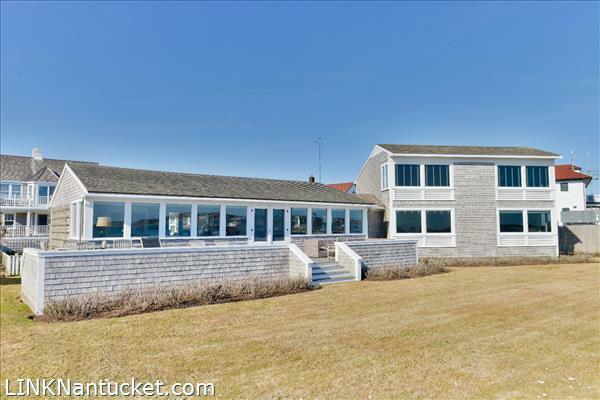 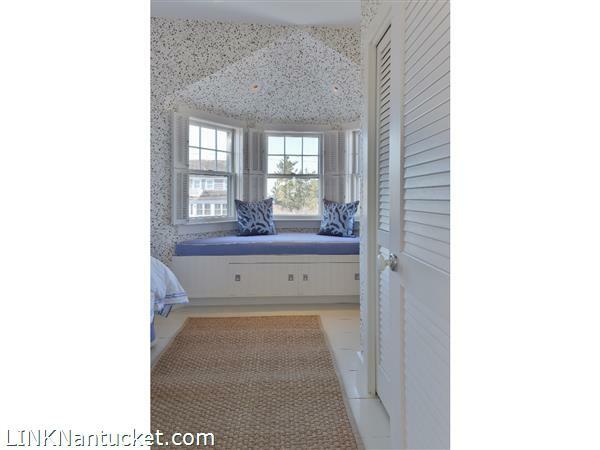 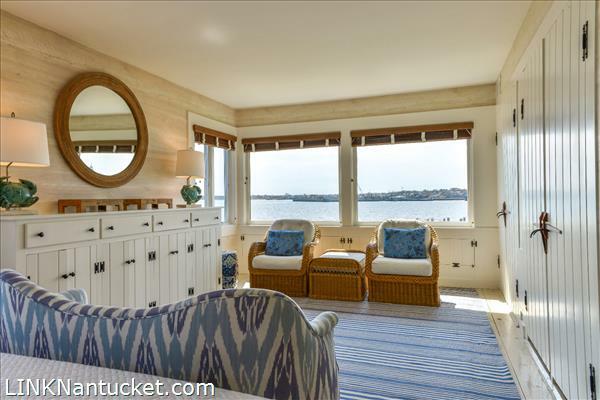 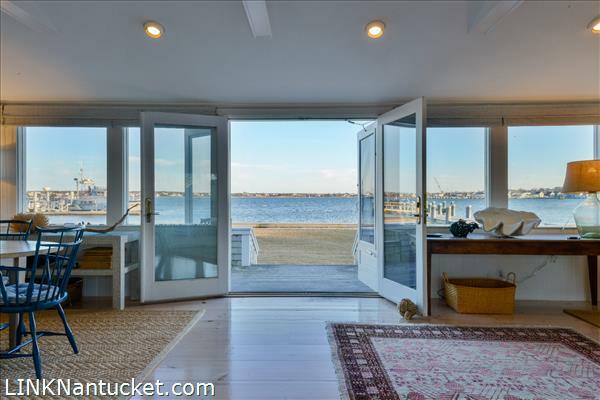 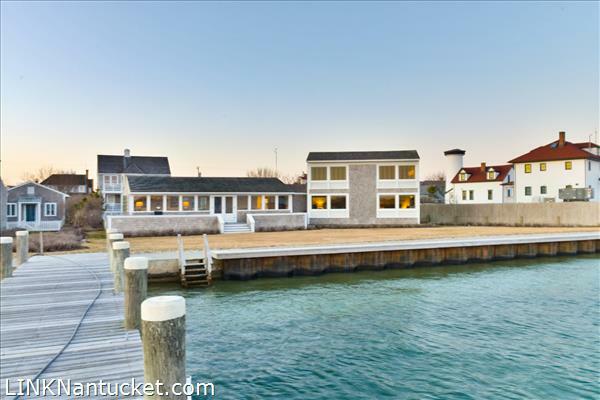 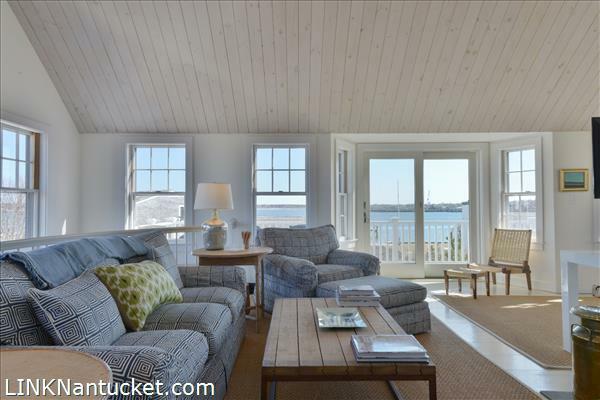 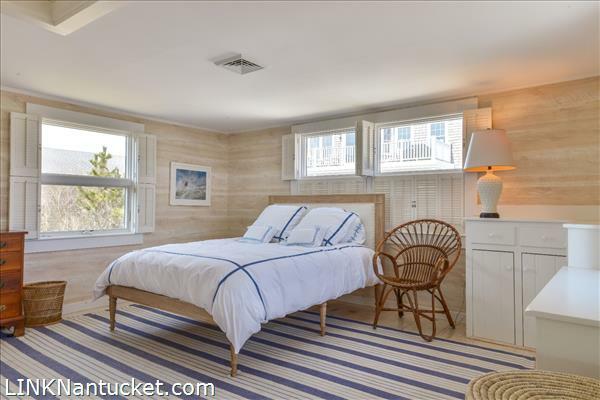 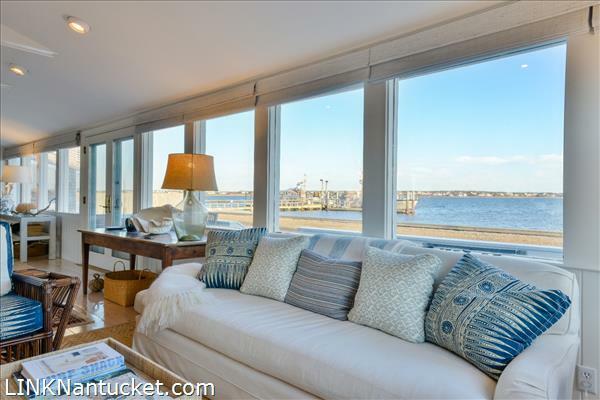 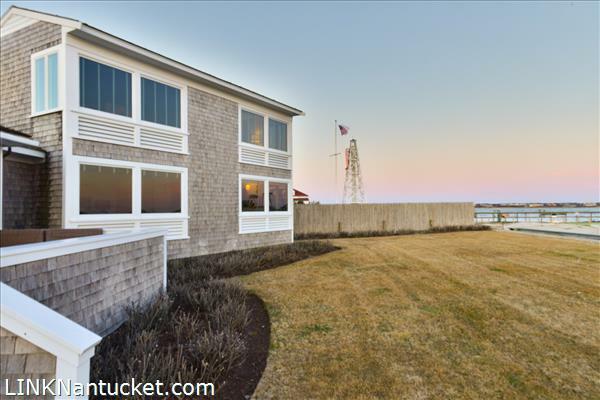 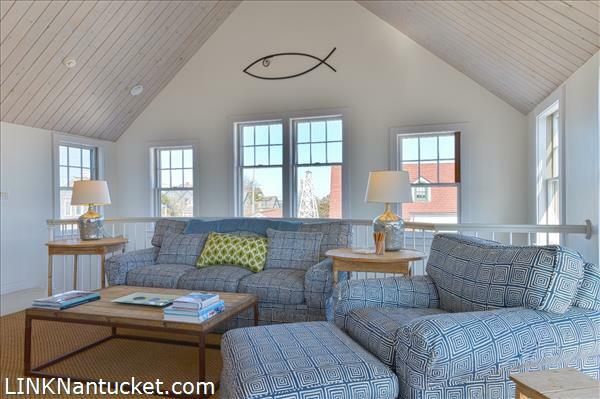 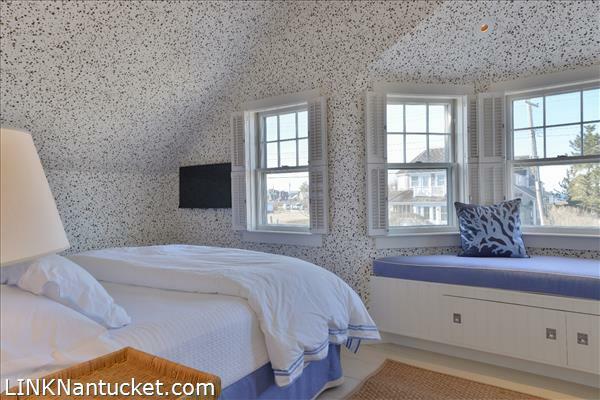 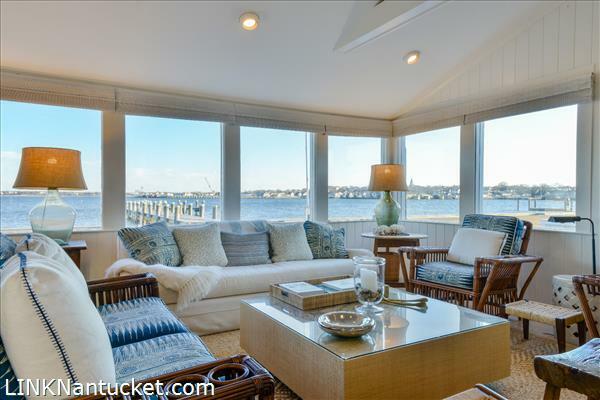 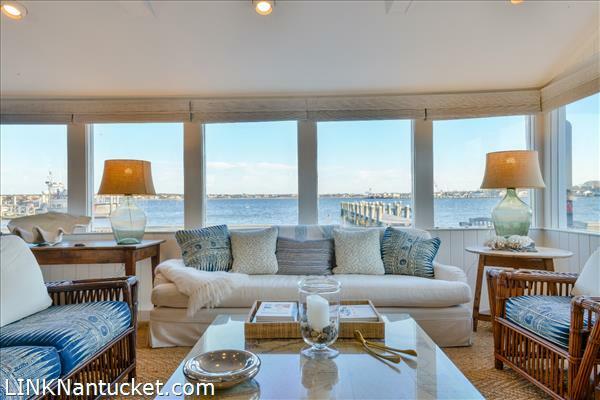 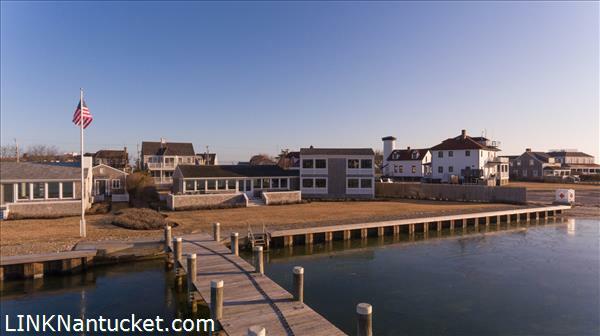 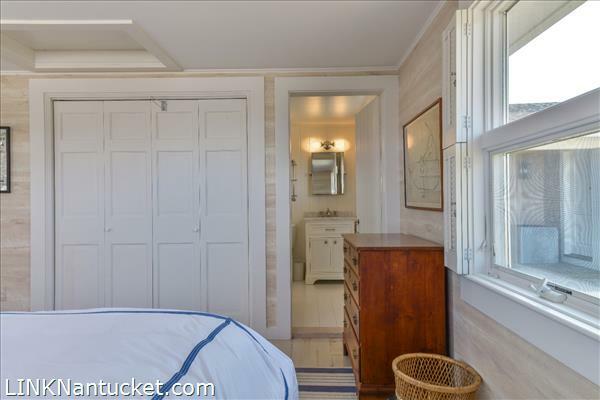 The cottage sits behind the main house, and retains views of the harbor from both the first and second floors. 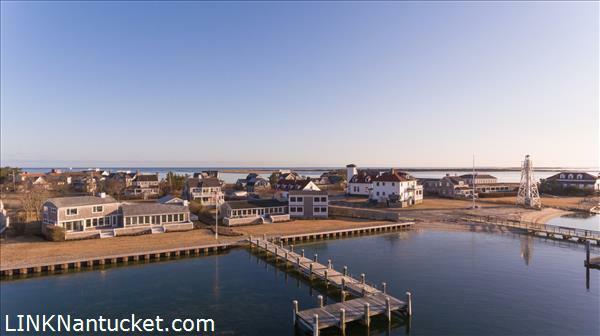 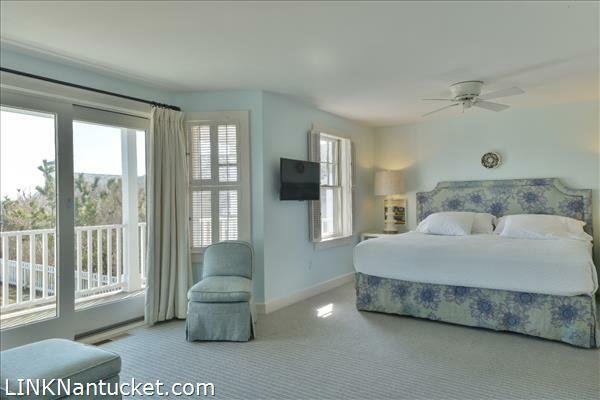 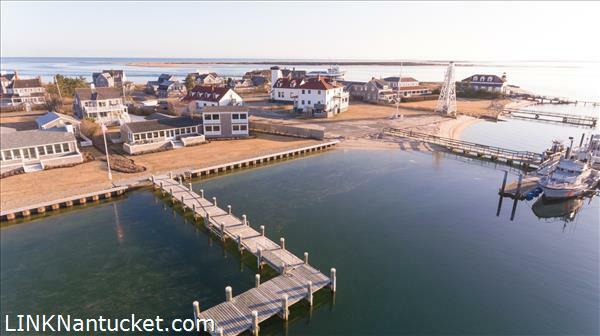 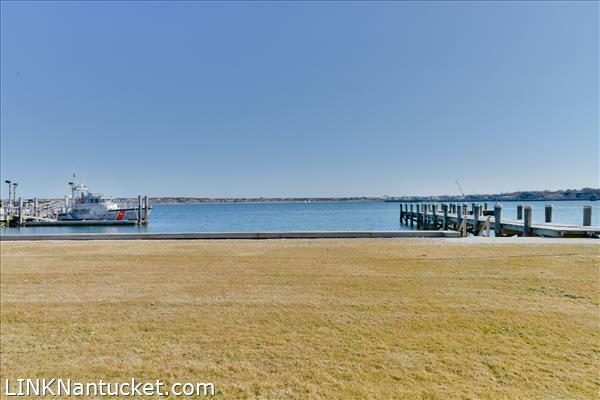 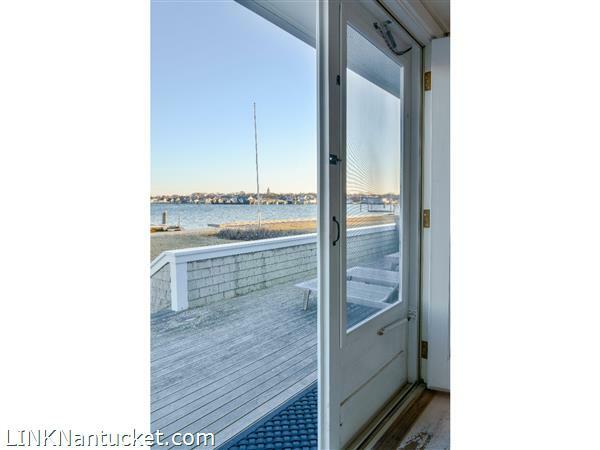 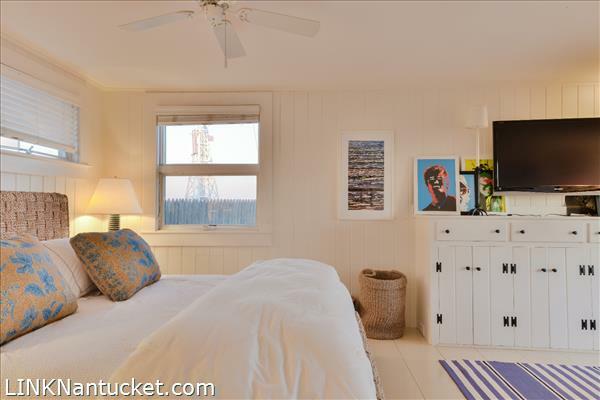 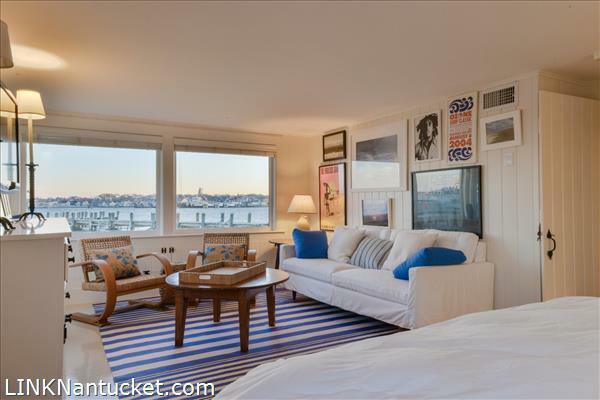 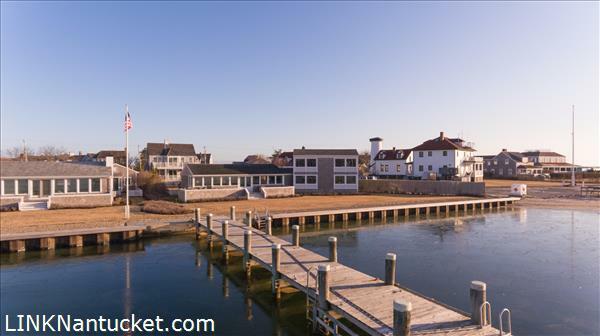 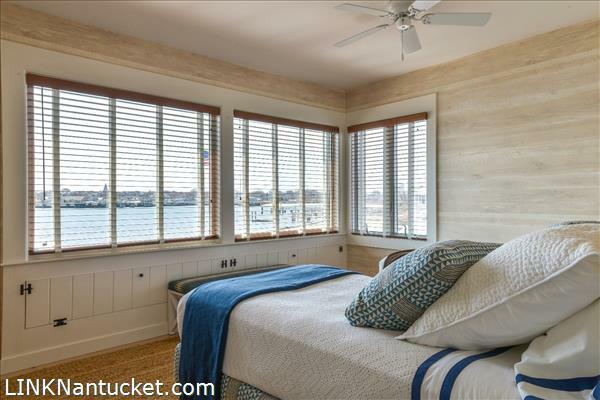 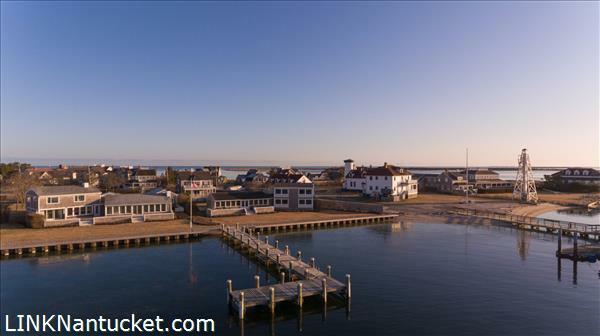 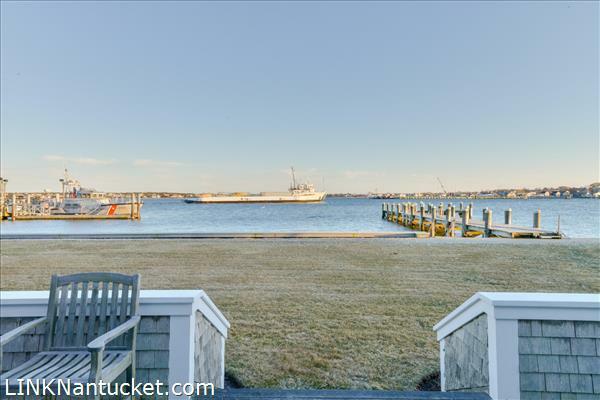 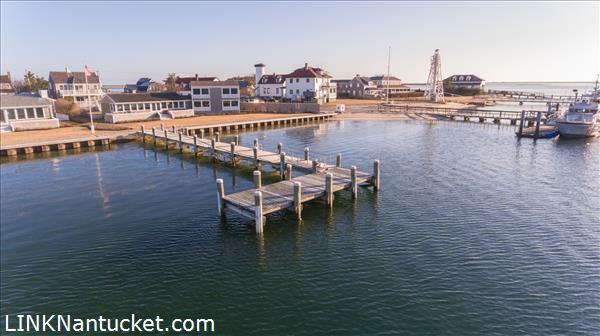 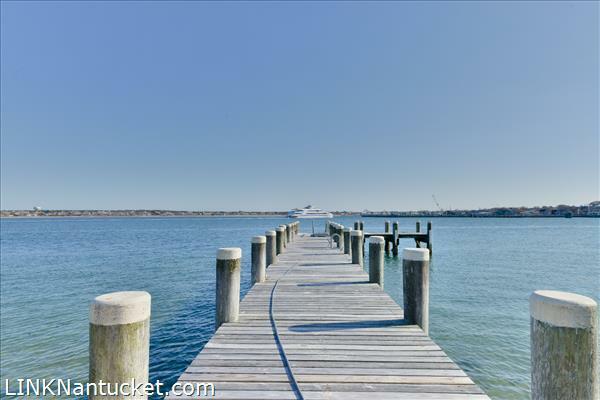 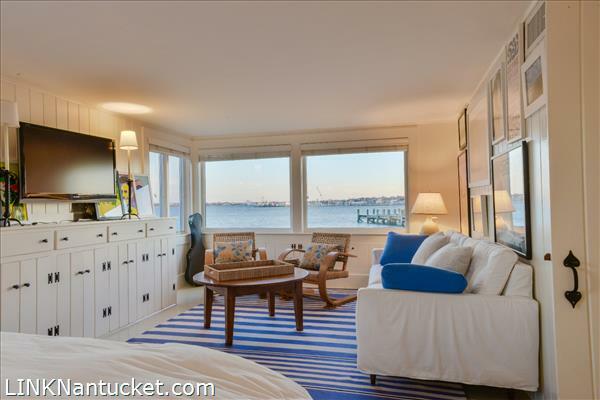 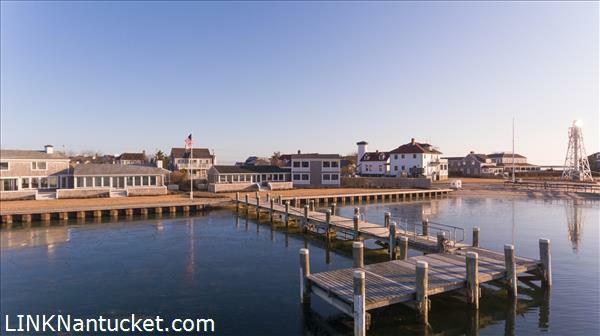 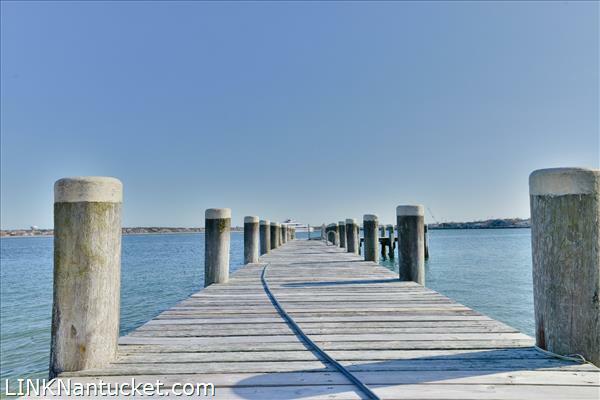 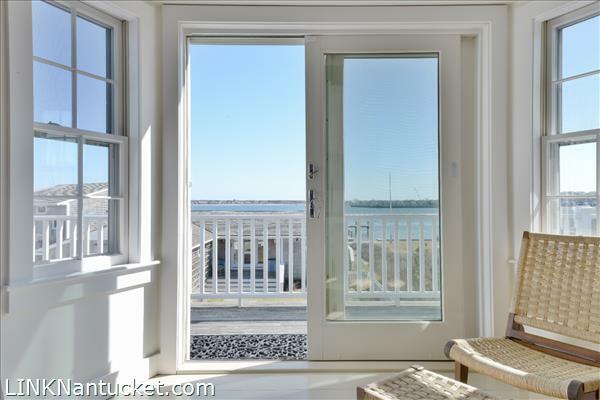 There is a generous first floor master suite with balcony, a second floor living area with fireplace and large balcony looking out over the harbor and town. 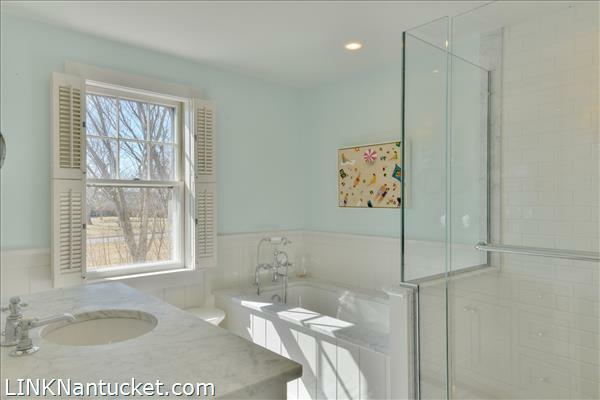 The are two additional bedrooms on the second floor which share a lovely bath. 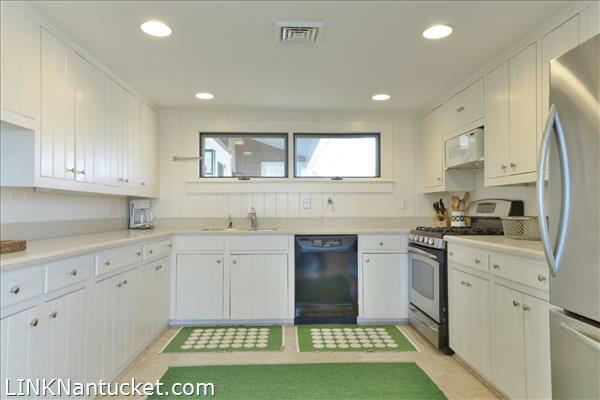 There is an attached two car garage.